With more 80% of our student population participating in the Arts, Latin offers something for everyone. Charlotte Latin’s nationally recognized Visual Arts program is part of the fabric of our daily life. Artwork lines the hallways and fills the shelves, becoming a backdrop so familiar in our buildings we are often surprised by visitor’s reactions. Our students study the displays as our art department regularly “installs” new collections to find a favorite project or comment on the historical significance of the project. 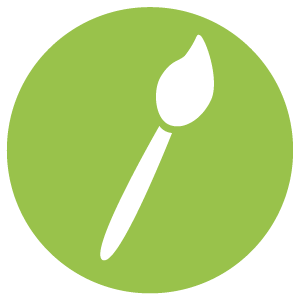 Our Lower School Art curriculum is intentionally crafted and developed. Students learn form, style and technique through instruction. Leaving no stone unturned, our teachers incorporate the origin of the art form, the time and period from whence it comes, and biographical or cultural information about the artist or the culture. With such thorough, but age appropriate, review, our students develop a strong sense of design, color, texture and with no fear to explore or try new things. As students progress through Latin’s art program, they bring an acumen and skill set unique to such a wide array of students. In Middle and Upper School, where students can choose electives, Art is always hugely popular. In 8th grade, students independently design their course in the visual arts and are free to sculpt, paint, draw, design, or photograph any subject area and in any genre they find interesting. With input from the teachers, students continue to develop techniques and style but they are not bound by a conventional or prescribed course of study. This freedom to explore creates a type of student leadership and engagement that regularly results in regionally and nationally acclaimed work. It all begins in Lower School with our developmental approach to music. Our beginning students learn about rhythm, beat and tone through singing and playing instruments like wooden blocks, kazoos and the triangle. We perform for each other in small settings and use songs to reinforce memory. As children grow through the program, they learn to read music and learn to accompany songs and keep time through our extensive collection of Orff instruments. In 5th grade, our students each learn to play either a wind or stringed instrument in Horne Performing Arts building. With a variety of concerts, singing programs and our signature Grandparents Day performance our lower school students have many opportunities to perform. In addition, we cultivate a love for the stage by introducing our fourth and fifth grade students to a short Broadway-inspired play every year. Keeping the scope simple and developmentally appropriate, we pave the way for our Middle and Upper School theater productions. 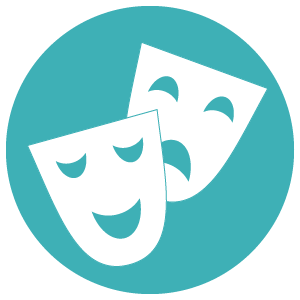 Middle and Upper School students perform a musical and a dramatic or comedic play every year, and our Upper School students also write, produce and direct our One Acts. Arts alumni are listed in alphabetical order by last name. Kate Anderson '05 works for The Public Theater/New York Shakespeare Festival as part of the development team. Kate also is a member of the BMI Lehman Engel Musical Theater Writing Workshop, where she is working on a musical adaptation of a children's novel by Julie Andrews. She graduated from Gettysburg College with a BA in music. Lindsay Anderson '05 works with WDAV Classical Public Radio. She also is a co-founder and collaborator of HYBRIDGE Arts Collective, which is a company that showcases and promotes emerging young artists in Philadelphia. She appeared in Theatre Charlotte's presentation of In the Heat of the Night in 2012. Lindsay received a BA in theatre and dance from Dickinson College. Liz Asti '96 is part of the a capella group Element, which appeared on NBC's The Sing-Off. She has been a part of several stage productions including The Sound of Music, A Christmas Carol, and Sweeney Todd. She received a BA in theatre (acting) and a BA in music (vocal performance) from Bucknell University, and a master's degree in theatre education from Emerson College. Brandon Beck '06 is a screenwriter and director living in Brooklyn. He graduated from SUNY Purchase with a BFA in dramatic writing, and received an MFA in TV writing and producing from Long Island University. Brandon has worked as a writer, director, producer, or production assistant for several productions including Sketch Cram, Red Hook, The Knick and The Good Wife. Zach Butler '02 is the script coordinator/writers' assistant for Nickelodeon's Bella and the Bulldogs. He also has served as the script coordinator for Hostages, Human Target and It's Always Sunny in Philadelphia, and as a writers' assistant for Marvin Marvin, 2 Broke Girls and Kath & Kim. Zach graduated from Wesleyan University. Kent Caldwell '05 is an acrobat in Cirque du Soleil's show Mystére and previously performed in Cirque du Soleil's show ZED at Disneyland Tokyo. He is a Phi Beta Kappa graduate of the University of Michigan with a BFA in art and design and a BS in biopsychology, and was a member of the men's varsity gymnastics team that won the 2010 NCAA championship. Paul Chanon '91 is the tour manager for Zac Brown Band and the owner of Sound Events Management LLC. He graduated from N.C. State University with a degree in industrial engineering. Will Clegg '98 is a filmmaker who is working on The Marriage Amendment, a documentary film about the controversial marriage amendment that was on the North Carolina ballot in May 2012. Matt "Smokey" Cloud '00 is an assistant sound editor at 20th Century Fox Studios in Los Angeles. He has worked in the sound department for several feature films including The Wolverine, Snow White and the Huntsman, Rise of the Planet of the Apes, Gulliver's Travels, The A-Team, The X-Files: I Want to Believe, What Happens in Vegas, X-Men: The Last Stand, Big Momma's House 2, and Cheaper by the Dozen 2. Matt received a BFA in filmmaking from the North Carolina School of the Arts. Keith Cooke '86 is a travel and sports writer for Examiner.com. Ben Crane '04 is a screenwriter who wrote the screenplay for Dark Haul, which aired on the Syfy network in October 2014. Ben graduated from Wesleyan University, where he received the Akiva Goldsman Prize in Screenwriting. Adrienne Dellinger '90 is the Executive Director of Clayworks in Charlotte, N.C.
Julie DeVore '05 is the assistant stage manager for On the Town on Broadway, and has served as an assistant stage manager for the Broadway musical Wicked and as a production assistant with the Broadway musical Billy Elliot. She also was the assistant stage manager for The Addams Family national tour. She received a National ATCF Stage Management Fellowship while she was a student in the Department of Theatre at the University of North Carolina at Greensboro. Patrick Dohan '08 is a multi-instrumentalist, music composer, and a digital strategy coordinator at Vladimir Jones. 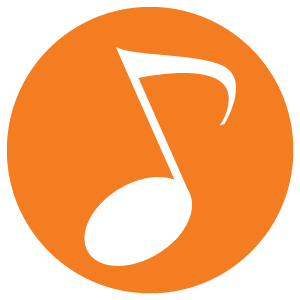 He previously produced, composed, and arranged music recordings for artists, ads, and film. He graduated from the University of Colorado at Boulder. Mitchell Dudas '08 played the role of Harry in the 2013-14 U.S. tour of Chicago. He graduated from New York University with a bachelor's degree in vocal performance-musical theater. Allison Edge '93 is a professional artist in New York City specializing in representational imagery, photorealism, and portraits. She has worked as the head of the painting department at Aaron Young Studio, the lead painter at McDermott & McGough Studio, and as a painter at Jeff Koons Productions. Allison graduated Phi Beta Kappa from the University of Georgia with a BFA in painting, and earned an MFA in painting from the University of North Carolina at Greensboro. Ian Eskelin '88 is a record producer, songwriter, and founding member and lead singer of the Grammy-nominated Christian rock band All Star United. He won the Dove Award for Producer of the Year in 2008 and 2011, and has received multiple Dove nominations for his songwriting and production work with other artists. Ian has had more than 30 top-ten singles in the United States, including 14 number-one charting songs. He graduated from Wheaton College with a degree in communications. Todd Farrell '06 and his band, Todd Farrell Jr. & The Dirty Birds, released All Our Heroes Live in Vans in 2013, which was followed by a U.S. tour. Todd also works as a freelance audio engineer and producer, and previously played guitar in a thrash metal band, Mark These Words. He graduated from Belmont University with a degree in music business with an emphasis in music production. Sean Gilmour '01 is a national account executive at The Freeman Company in Las Vegas. He has worked in production, including trade shows, concert touring, and high profile corporate events, for more than a decade. His experience also includes touring Asia, Europe, and North America with The Rolling Stones. Charles Hodges '03 is a creative director at TBWA\Media Arts Lab in Los Angeles. He worked previously as the creative lead at Google Creative Lab and as a copywriter at Wieden + Kennedy in New York City, where he wrote commercials and print ads for ESPN and Nike, among others. His work was shortlisted at Cannes and AICP. Charles is a graduate of the University of North Carolina at Chapel Hill and Virginia Commonwealth University. Stephen Kaliski '03 is a director, playwright, and teacher who received a BA from Davidson College and an MFA from Brooklyn College. He is the co-founder of Page 121 Productions and is an adjunct professor at Brooklyn College and Fordham University. His directing credits include A Midsummer Night's Dream, Vinegar Tom, The Minervae, This, Cardenio, The Violet Hour, The Dumb Waiter, West Lethargy, and His Minute Hand. His playwriting credits include West Lethargy, which was published in Plays and Playwrights 2011 (ed. Martin Denton), His Minute Hand, Any May Now, and Memoriam, a sequel to Euripides' Alcestis. He has worked with such directors as Austin Pendleton (Three Sisters, Assistant Director) and Michael Grandage (Evita on Broadway, SDC Traube Fellow) as well as with The Royal Shakespeare Company, Classic Stage Company, and LAByrinth Theater Company. Stephen has taught acting, directing, public speaking, and master classes on leadership and joy at Brooklyn College, NYU, Fordham, Yale, The Professional Performing Arts School, Talent Unlimited High School, and BMCC. Brian Kennelly '01 is the author of Two Statues. He graduated from Clemson University and lives in Charleston, S.C.
Ken Kiser '93 is a singer/songwriter in Asheville, N.C. He released a self-titled EP in 2007 and his second EP, Goodbye Georgia, was released in 2011. He won the Fan Favorite Award at the Brown Bag Songwriters Competition in May 2010. He also was a finalist in the 2009 North Carolina Songwriting Co-Op Competition in Cary, and won the 2006 Flat Rock Music Festival Songwriting Competition. Michael Mancuso '06 plays bass in a touring soul/funk group called Soul Track Mind. Named "a band to watch" by Austin Monthly, the group released its second album, Soul Track Mind, in April 2013. Sterling Masters '03 can be seen in the Broadway production of Wicked. She also has toured nationally with Wicked, A Chorus Line, Fosse!, Joseph and the Amazing Technicolor Dreamcoat, and Thoroughly Modern Millie. Zach Monroe '08 graduated from Vanderbilt University with a degree in vocal performance and is working toward master's degrees in music theatre and vocal pedagogy at New York University. He also teaches undergraduate private voice lessons at New York University. Guy Mossman '90 is a cinematographer who began creating films as a Peace Corps volunteer in Paraguay. He has worked on several documentaries including The Go-Go Boys: The Inside Story of Cannon Films (a Cannes Film Festival selection), Buck (a Sundance Film Festival U.S. Documentary Audience Award winner), Comicon Episode IV: A Fan's Hope, Joan Rivers: A Piece of Work (a Sundance Film Festival selection), and Russell Simmons Presents Brave New Voices. He also has worked on projects with HBO, Showtime, BravoTV, Sundance Channel, Discovery, National Geographic, PBS and A&E, among many others. Guy and his wife run Vox Pop Films in Los Angeles. Harshada Rajani '03 is a blogger for The Huffington Post. She graduated from Duke University in 2007 and began medical school at her alma mater immediately thereafter. In late 2008, she suffered a vetebral artery dissection leading to a bilateral brainstem stroke. She spent the next several months completely paralyzed. She is fighting to regain her voice and muscles, and is blogging about her experience. Jim Rash '89 is an actor, director, and Academy Award-winning screenwriter who stars as Dean Pelton on the sitcom Community. His other television credits include Mike Tyson Mysteries, Glee, The Naked Truth, CSI, NCIS, Friends, Will & Grace, That 70s Show, Help Me Help You, and Reno 911! He received an Academy Award for the screenplay adaptation of The Descendants, which he co-wrote with Nat Faxon and Alexander Payne. His movie The Way, Way Back, co-written and co-directed with Faxon, was released in 2013. Jim is a member of The Groundlings improv and sketch comedy group based in Los Angeles, and also hosts SundanceTV's The Writers' Room. He graduated from the University of North Carolina at Chapel Hill. Mia Sable '02 (formerly known as Monica Allen) is a singer/songwriter in California. She has released five albums, Propeller, The Scenic Route EP, X-Mas, LIGHT, and The Portrait Collection and has performed in Los Angeles, New York, London, Toronto (NXNE), Nashville, Austin (SXSW), and Park City (Sundance). She has performed in-store shows at the Apple Store, Best Buy, and Whole Foods, and was awarded an LA Music Award for Indie Female Singer-Songwriter in 2006, an LA Music Award for Alternative Female Vocalist in 2007, and a Malibu Music Award for Adult Contemporary Artist in 2009. She graduated from UCLA with a degree in musical theater and earned an MBA with a focus on digital media, marketing and entertainment at the University of Southern California. Scott Turner Schofield '98 is the author of Two Truths and a Lie, which was named a finalist in two categories for the Lambda Literary Awards and was named to the American Library Association's Rainbow List. As an actor, he has received a Fruitie Award for Off-Broadway performance, a Princess Grace Foundation Fellowship, and a Creation Fund Commission from the National Performance Network. He received a commission from the Princess Grace Foundation to write a new play, which premiered in Chicago in 2011. He acted with the National Theatre system in France for the 2012-13 season and had the honor of premiering a play on the main stage at the Festival d' Avignon. He also appeared on The Bold and the Beautiful in 2015. Biniam Tekola '02 is an artist, actor, and writer. He studied dramatic art at the University of North Carolina at Chapel Hill, and continued his theatrical training at the Leon Katz Rhodopi International Theatre Laboratory in Bulgaria. After studying in Bulgaria, Biniam moved to New York, where he continues to act while writing and light designing. He has appeared in several stage productions including A Midsummer Night's Dream, Polaroid Stories, Soul Notes, Mum's the Word, Reservoir Dogs, and The Son of Arlecchino. He also was the co-producer for Company Carolina, and remains a company member of North Carolina-based Machine Theatre. He appeared on Law & Order: SVU in 2015. Christian Vernon '03 is an actor, writer, director and stage manager who graduated from Denison University in 2007 with a degree in theatre and education. He is a company member with Child's Play Touring Theatre in Chicago. He writes and performs shows all over the country adapted from stories written by children. He also teaches acting and writing workshops in Chicago's public schools. Ashley Warlick '90 is the author of three novels, Seek the Living, The Summer After June and The Distance from the Heart of Things, all published by Houghton Mifflin. She is the youngest recipient of the Houghton Mifflin Literary Fellowship (for The Distance from the Heart of Things) and a founding member of the advisory board for Novello Festival Press. In 2006, she received a fellowship in literature from the National Endowment for the Arts. A graduate of Dickinson College, she teaches creative writing at Queens University in Charlotte. Regan White '99 is an account coordinator at ABZ Design Group and previously worked as the managing editor of Carolina Weekly Newspapers. Regan is a Yale University graduate and founding member of Yale's first all-female sketch comedy group. G. Clay Whittaker '05 is a writer and editor who lives in New York City. He has written for Maxim, Men's Journal, Paste, NBC, NPR, The Daily Beast, and Cigar Aficionado. A 2011 graduate of the Columbia Publishing Course, he interned for The New York Observer and Men's Journal before joining the team at Cigar Aficionado, where he was assistant editor and tasting coordinator until 2014. Clay graduated from Hampden-Sydney College with a BA in English. LAA is the umbrella organization that supports, enhances and promotes the arts at Latin.